Down Mexico Way at Krčma Lesce! 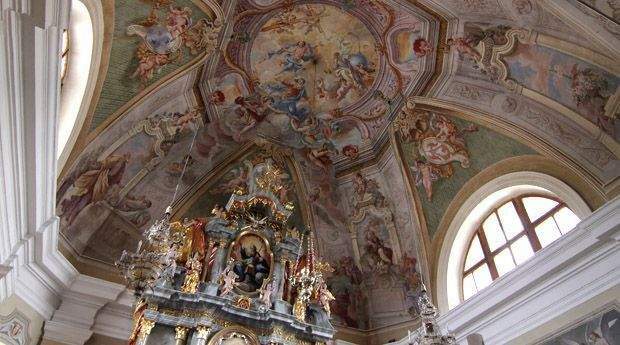 Lesce is situated midway between Radovljica and Bled and is part of the Municipality of Radovljica. It is probably most known for the 5-star Šobec camp – http://www.radolca.si/en/accommodation/camps/camping-sobec/212/92/, which is hugely popular during the summer months. Lesce is an important rail junction, as it is the station closest to Bled on the direct line from Ljubljana to Jesenice, and a passing point for trains running on the single track. 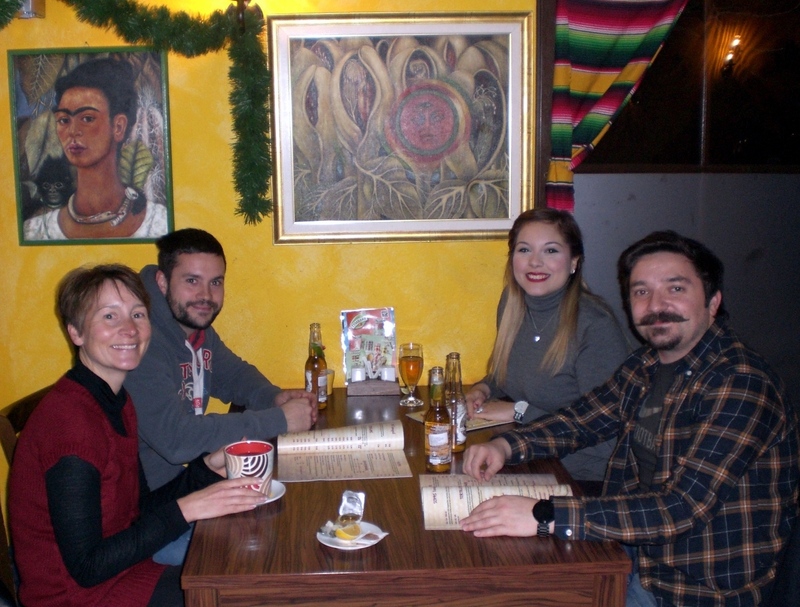 Considering its modest size, Lesce has quite a wide selection of cafes and restaurants, however, you probably wouldn’t immediately think of coming here to find (possibly) the best Mexican food in Slovenia! Lesce is home to the noteworthy Church of Mary of the Assumption – http://www.radolca.si/en/lesce-church/, with its impressive interior and bell tower. It’s fair to say that I’ve eaten at the Krčma Mexico restaurant more than a few times, my most recent visit however, just last week, was for a somewhat different reason. Let me explain! Regular readers may recall that just a few weeks ago I appeared as one of the guest speakers at the Njam Zgodbe (Yummy Stories) bloggers’ event in Ljubljana. The other guest speaker was Isabel, a Mexican who, due to falling in love and subsequently marrying a Slovene, now lives in Ljubljana, though also returns regularly to her homeland of Mexico. Since moving here, Isabel has also starting writing a blog – The Sunny Side of This – where she publishes posts in Spanish and English, and since she has previously written about where to get great Mexican food in Slovenia, and since I was flattered that in a recent post she described meeting me as meeting ‘her blogging idol’, I invited her to come and visit Lesce and try Krčma so we could do a joint blog. And so here it is! We sat down with the restaurant’s owner, chatted about all things ‘Mexican’ and tried a variety of things from the menu, all of which were, as usual, delicious and plentiful. You certainly never leave Krčma hungry, even someone like me with a big appetite! 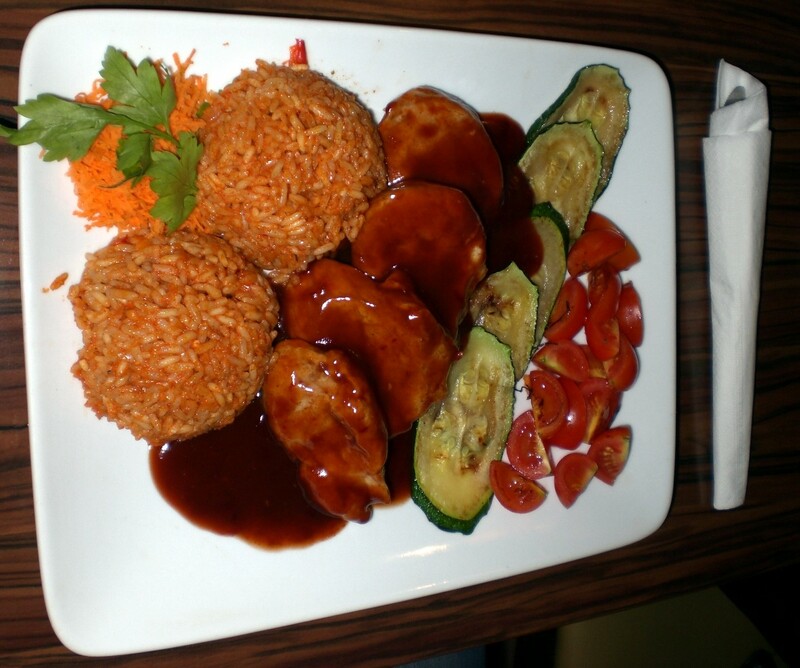 Or how about steak in barbeque sauce with spicy rice? And as for the desserts, well, where should I start? Pancakes tend to feature heavily on dessert menus at many traditional Slovenian restaurants, however, I usually find them somewhat underwhelming as they are all pancake and no filling. 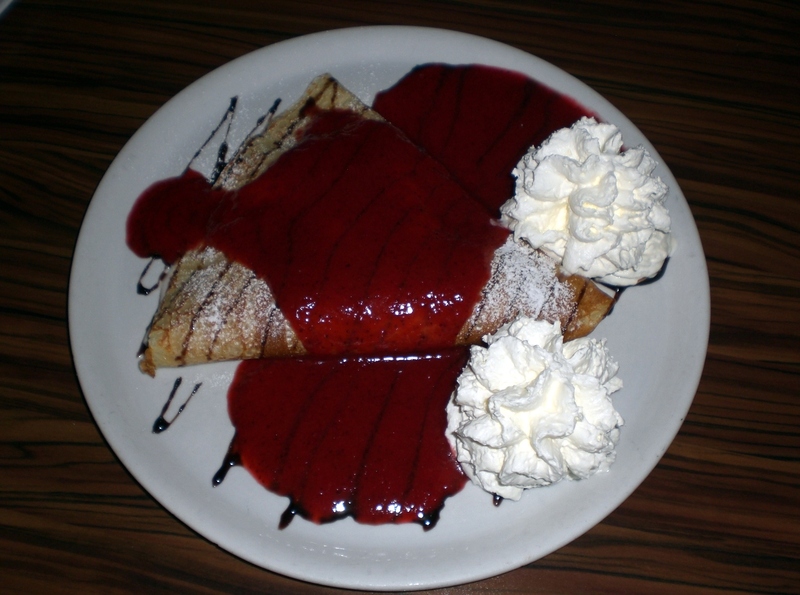 The pancakes at Krčma, however, are far from underfilled and, though not exactly Mexican, are absolutely awesome! 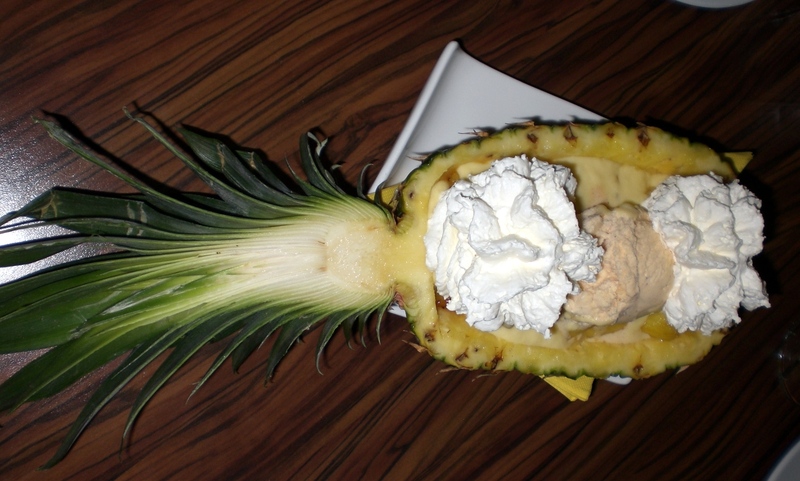 And since you can never have enough desserts, how about baked pineapple with caramel too! Isabel gave the food the thumbs up and since she’s a real Mexican, it must be good! But don’t just take my, or her, word for it, try it for yourself. But do book in advance, its no secret that great food can be found here, and ‘Buen apetito!’ – as they say down Mexico way! « Christmas in Slovenia; Markets, Food, Traditions and more! 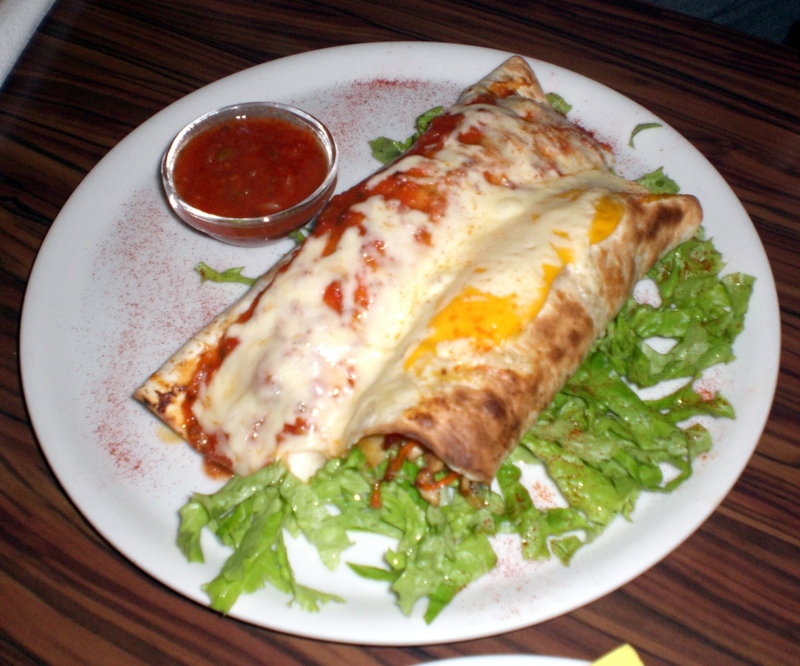 There is good Mexican food in Slovenia? Lead me to it! I have yet to be impressed.